Hello guys, I'm glad to see you again. 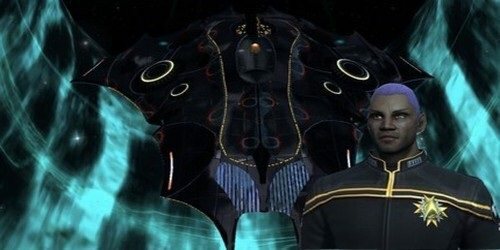 I was a member of the fleet a couple of years back, but I dropped out because my old pc stopped supporting STO. As I've got a new computer now, I can join you ingame again. Not sure if anyone still remember who I am, but it's nice to return. Reason for leaving former STO fleets (if applicable): PC problems, I wasn't able to play anymore. 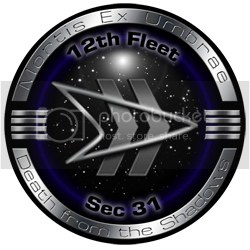 How did you hear about the 12th fleet? Aw it's sooo long ago. I think I've read your recruiting post on the forums. What made you interested in choosing the 12th fleet? I liked the fleet some years ago and I'd like to return here. Have you ever played an MMORPG? If so, which one and how long: WoW, about a year. At the moment I'm a quite active player and I'd like to take part in some fleet action like STFs and raids again. Pugs ain't nice experience as you all know. Also, I'd like to explore the new fleet content like Research lab and the recent Colony, and I bet there are lots of projects to help with as well. Thank you very much I'm very glad to be a part of the fleet again. I'm online atm, so feel free to notice me if someone is around to invite me. I might have to relog to my main though. Good news is, you don't have to be online for someone to send you an invite, it will show up in your fleet window. Bad news, you must wait for Section 31/Tactical Command to accept you to get your invite (for sure they will get to it within 24 hours). Sorry, we have division of labor here and procedures/bureaucratic traditions to uphold. 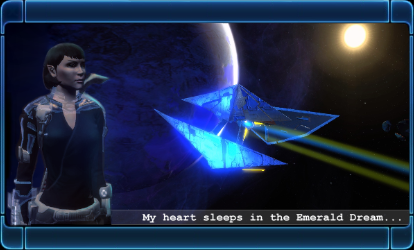 Hehe, no problem I've waited a couple of years to play STO again, so I can wait a bit for a fleet invite. I assign you as an Asset to Alpha Squadron (Renegades) under Field Director Kraden. Thank you for a warm welcome, guys I'm glad to be back. I'll be online in the evening and join the fleet and the channel ingame. I was already wondering why it's so quiet here on the forums. and I'll refresh all the importang info in my mind later on.